Nick Xenophon's aborted trip to Malaysia grabbed plenty of headlines this week. 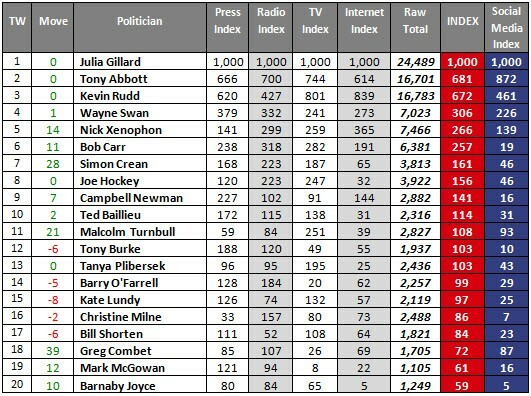 But not more than the constant media speculation over the Labor leadership. 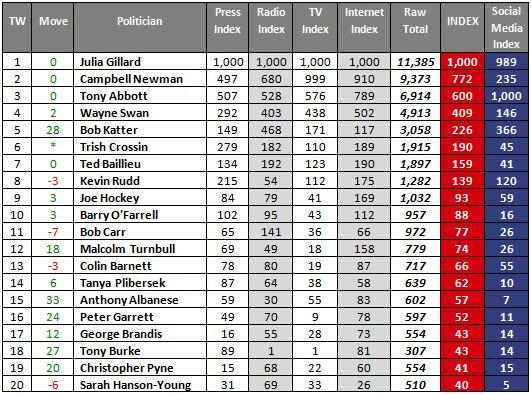 Julia Gillard named an election date -- then it all went south. Craig Thomson was grabbing the headlines, and Beyonce's Super Bowl performance had everyone talking. 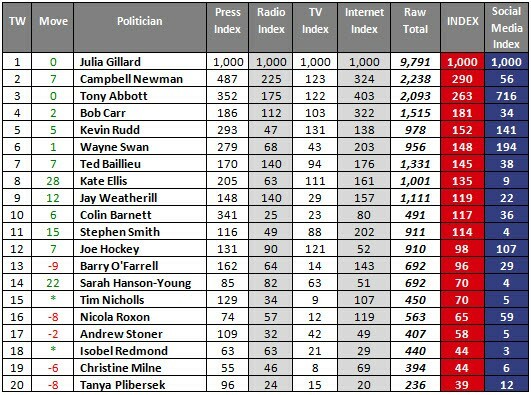 Between handing out gongs and visiting disaster-hit areas, Julia Gillard was the star of the media this week. But her boyfriend tried clumsily to steal some of the spotlight. 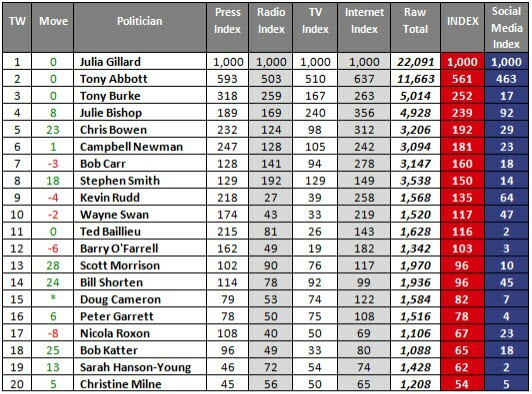 Julia Gillard won plenty more media mentions than Tony Abbott in 2012, but the talkback radio and social media buzz was mostly negative. Sentia Media's index tracks the year that was. 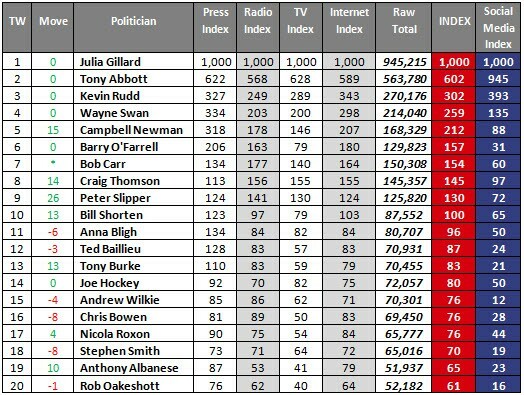 The AWU scandal has sucked the political oxygen out of the media, with all the key players dominating headlines and social media chatter, writes Sentia Media's John Chalmers.